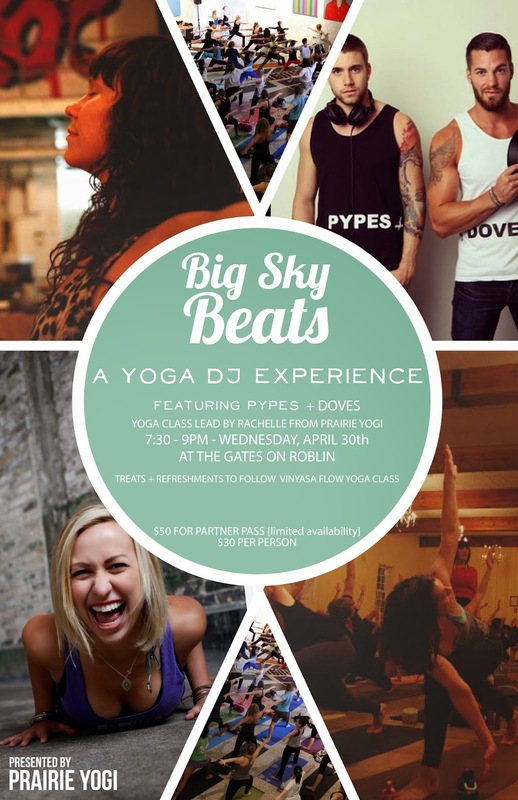 On Wednesday, April 30th 2014 Prairie Yogi presents a yoga and DJ experience like no other: BIG SKY BEATS at the Gates on Roblin. We will gather at 7:30pm for a fun, all levels vinyasa practice taught by our very own Rachelle, flowing and moving to the sweet beats of DJs Pypes and Doves. Stick around post-practice for tea, a light snack, and community :). Prairie Yogi Events are fun, inspiring and celebrate community. Have a peek at what our events are like by checking out our event video recaps.